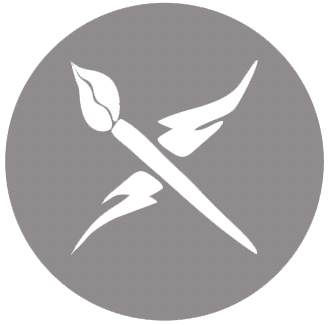 A virtual ‘explosion’ of digital creativity can be an exciting thing to catalyze and witness. After creating an approximately eight minute video yesterday using the $3 iPad app “Puppet Pals Director’s Pass,” my eight and eleven year old girls spent a few hours today creating puppet videos with the app. In order to share these videos on our family learning blog, I decided to create a new “channel” on Vimeo to serve as video sandbox site. In this post I’ll share some “whys” and “hows” for video sandboxes both at home and in your classroom. If you’ve been sharing video online for 10+ years, or maybe even less, the FREE options available today for sharing web-based video seem almost too good to be true. Back in the early to mid 2000s when I worked at Texas Tech University, I spent a fair bit of time figuring out how to use an Apple QuickTime Streaming Server which our college had purchased to share student and faculty videos. The process wasn’t easy and it wasn’t fast. Fast forward to 2011, however, and we’ve metaphorically moved from horses to the Enterprise when it comes to video sharing. Websites like YouTube and Vimeo open up a world of free, online video sharing I couldn’t have imagined or hoped for in 2001. Should I publish this online? Where should I publish this online? How can I share this in a safe, interactive way with others? Our family learning blog (learningsigns.speedofcreativity.org) is the primary space where my kids and I share “digital evidences” of things we’ve learned or created. In the past, when I’ve needed to share a video there, I’ve usually posted it to my personal YouTube channel (youtube.com/wfryer) which contains an eclectic mix of content. Generally it’s been fine to share my kids’ work there, but after introducing them to the Puppet Pals iPad app today it became clear this wouldn’t work anymore. My girls were enthusiastically creating multiple, long videos… and I decided to create a new space for them. As you might expect, while some elements of these videos are fun and engaging, at times they get pretty long. (Sarah’s iPad puppet video today is almost ten minutes long, and Rachel’s second puppet video was over twenty minutes.) I didn’t want to ask myself, “Do I want this video published to my personal YouTube channel” so I created a new, unique channel on Vimeo. I could have created another YouTube channel using a different Google account, but over the past year I’ve really started to like Vimeo for classroom video sharing. The classroom blog I’ve maintained the past four years for fifth and sixth grade Sunday School students I’ve taught (blastcast.wordpress.com) works great for sharing text, links and images, but I’ve needed to post videos elsewhere. While we’ve used a free Posterous site to cross-post via email to the WordPress blog, the video versions Posterous creates are Flash-based and don’t play on iOS devices. For this reason, and because I wanted a “classroom video channel” where all our videos could live, in February of this year I decided to start using a classroom Vimeo channel (vimeo.com/blastcast). Unlike YouTube, which permits users to upload an unlimited amount of content as long as videos are less than fifteen minutes in length, Vimeo lets users of free accounts upload longer videos. The hitch is the total file size of videos you upload: At present, free Vimeo accounts limit users to 500 MB of uploads per week. This aggregate file size limitation hasn’t been a problem for my Sunday School classes, and so far it’s been fine for the Vimeo channel I setup to complement our family learning blog (vimeo.com/learningsigns). 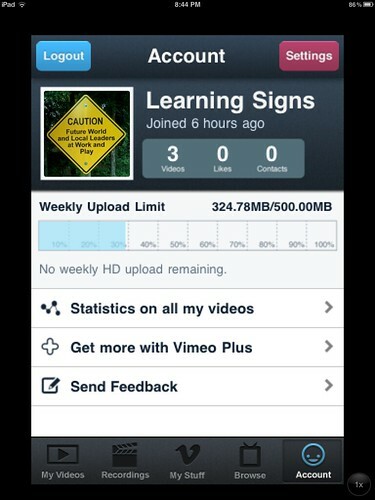 I used the free Vimeo iPhone application (which also runs fine on an iPad) to create my free “learningsigns” account and upload videos to it today. The app asked for a unique email address and password you want to use, and does not require that you confirm the email account address before uploading. 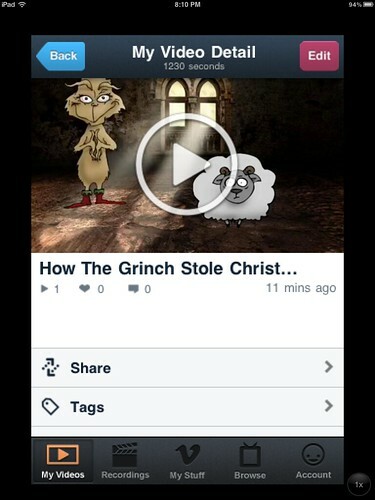 After creating and/or logging into your Vimeo account in the app, click MY VIDEOS in the lower right corner and then the “+” sign in the upper right corner to upload a new video. After entering the desired title for your video, it will upload and you’ll see a progress bar with the amount uploaded so far. Short videos, like Rachel’s 80 second Puppet Pals creation “Santa Goes to Washington DC,” are relatively small and upload pretty quickly on a high speed Internet connection. After your video uploads to Vimeo it will transcode, or convert into different formats. After that process is finished, it will be playable in the Vimeo app. Before or after transcoding is completed, however, different sharing options are available. I chose to share our videos today via email, using a free Posterous website I created specifically to “cross-post” content from email directly to our WordPress blog. This is a technique I use for my Sunday School Class blog (blastcast.posterous.com)as well as our family learning blog (learningsigns.posterous.com). You simply can’t beat the ease of sending a quick email link to web-post a video, and Posterous does a nice job of “auto-embedding” videos from sources including Vimeo and YouTube. This makes the process of sharing videos during or after class, or at home when a video has been uploaded, quick and painless. See my May 2011 post, “Configure Autoposting to a WordPress Blog from Emails via Posterous,” for specific steps to set this up. I strongly encourage you to consider setting up a family learning blog to share text, links, images and video. It’s very empowering to have “media sandboxes” available for publishing content, and I attribute much of my own learning with media technologies to the chances I have to “play with media” and share it in these spaces. In addition to creating media sandboxes for yourself and your family, I encourage you to do this for your classroom. My favorite classroom blogging platform at present is Kidblog.org. Rather than a classroom YouTube channel, which is subject to far more commenting by strangers as well as potentially objectionable “related videos” displayed in the sidebar, I encourage you to consider setting up a classroom video channel on Vimeo. (You can and should turn on comment moderation for YouTube videos, but even with moderation turned on you may not want to upload ALL your classroom content there.) Although the weekly file upload amount is limited on a free account, there are multiple benefits to the site and service which make it great for a classroom channel. Like Flickr, after creating an account users can specify a “custom address” to use and share with others. That preference setting is what’s allowed me to currently have three different, free Vimeo channels with easy-to-remember addresses: vimeo.com/wfryer, vimeo.com/blastcast, and vimeo.com/learningsigns. The Western Academy of Beijing is one school currently modeling this idea of providing media sandboxes for teacher and student publishing. Their school video sandbox is on media.wab.edu, and is “powered” (as a YouTube clone site) by MediaScripts. 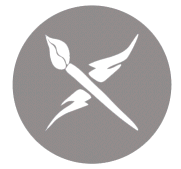 WAB’s photo sharing site for teachers, staff and students is on photos.wab.edu and is powered by Gallery2. Sheldon Bradshaw, who co-facilitated the digital storytelling cohort with me at the Learning 2.011 conference this year in Shanghai, is the instructional tech guru behind these media sandbox sites. If you know of other schools and districts utilizing YouTube/Flickr clone sites like this for video and image sharing, please add the links in the comments to this post! If we don’t play with media, we’re not going to get comfortable communicating with it and we’re certainly not going to master its use for learning inside and outside the classroom. Consider creating media sandboxes for you, your family and your classroom! 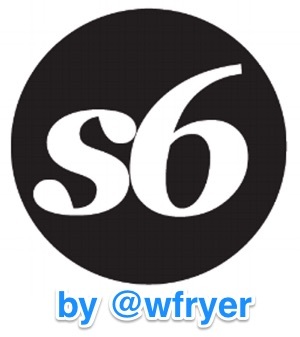 When you do, please tweet me the links (@wfryer) so I can check them out and share them with others! 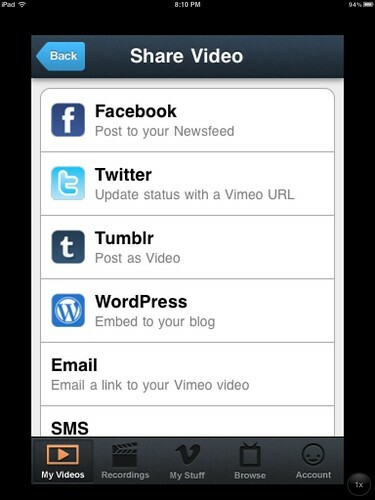 Also remember to check out and share examples of STUDENT media use with text, images, audio and video on share.playingwithmedia.com. Santa Goes to Washington DC from Learning Signs on Vimeo. Addition 12/6/2011: It turns out videos posted to Posterous via email ARE playable as embedded videos on an iPad in the Safari browser. There is still a problem using email with videos from the iPad, however, and that is file size and length. An 80 second Puppet Pals video is too big to be emailed to Posterous from the iPad. I’m not sure if it’s possible to override default attachment file size limits or not. I was sure that I had heard that YouTube had lifted the 10 minute limitation. By the way, Puppet Pal videos seem to play fine on my Posterous page. Do they play fine on your Posterous website when you’re using an iPad? Good catch, in July 2010 Google extended the length limitation to 15 minutes. Unless your account has been individually authorized for longer videos, however, I think that length limit applies. Yes. I exported from Puppet Pals and the sent to my Posterous email address. The videos being created here meet fair use requirements under US copyright law. They are examples of transformative media use, they are used non-commercially, and they use excerpts from the film. I am pretty confident are not going to get sued for making this and sharing this online. What I’m not sure about is if the characters included in Puppet Pals are specifically licensed by copyright owners so the derivative works created with the app can be redistributed online royalty free. That’s the case with GarageBand loops, for example. I’ve emailed the app developer and asked that question. I’ll post the response here. Great, thanks… I gave it a try and you’re right, it worked playing back on the iPad. 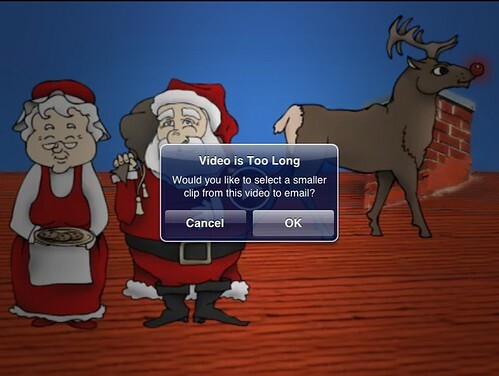 The big problem with email, however, is video length.. even with standard definition video, an 80 second Puppet Pals exported video was too big for email from the iPad. I’ll add this to my post above. I didn’t think about that. I guess you’d have to export from PP to the camera roll and then sync it to the Mac to upload directly into the Posterous post. Definitely not a direct route.